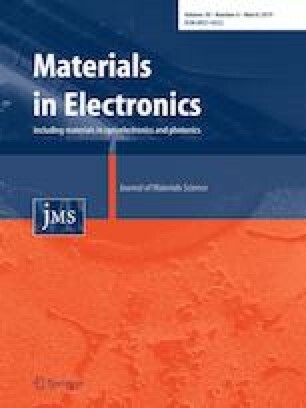 The synthesis of bismuth based materials with porous structures for supercapacitor application has drawn much attention due to their high specific surface area and easy access of electrolytes with the electrode surface through their hierarchical pores. In this present report, we synthesized a three dimensional (3D) BiOCOOH micro flowers by a solvothermal approach and applied to supercapacitor applications. Field emission scanning electron microscopy (FESEM) and transmission electron microscopy results confirmed that the formation of porous BiOCOOH flowers. When BiOCOOH was used as electrode material for supercapacitors it exhibits a maximum specific capacitance value of 312 F g−1 at current density of 1 Ag−1. Additionally, the BiOCOOH flowers retained 52% of its initial specific capacity after 5000 charge–discharge cycles indicating an excellent cyclic stability. This improvement in the cycle stability of the BiOCOOH is ascribed to high surface area and enhanced ion transport through the pores of the BiOCOOH flowers. This high specific capacitance and excellent cyclic stability of the porous BiOCOOH flowers prove to be a promising candidate for supercapacitor application. This work was funded by the Prominent Talent Project, Hebei University of Environmental Engineering (BJRC201701), the Project of Natural Science Foundation of Hebei Province (E2016415004, E2016415002), the Project of Science and Technology Department of Hebei Province (15213629, 15213620), and the scientific research Project item of Hebei province education office (QN2016032).